Tickets can be purchased at the Little Caesars Arena XFINITY box office and Ticketmaster.com. To charge tickets by phone, call (800) 745-3000. Pre-sale tickets will be available to members of Straight No Chaser’s official fan club beginning Tuesday, May 8. For complete ticket information and other news, please see www.sncmusic.com/tour. 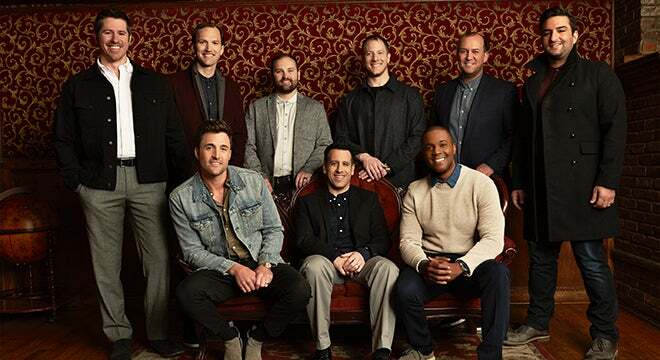 Atlantic Records recording group Straight No Chaser has announced early details of their upcoming “One Shot Tour” with dates in the US and Europe including a stop at the Fox Theatre on Wednesday, December 19 at 8 p.m. The European leg kicks off on September 12th at the House of Culture in Helsinki, Finland with dates through the month wrapping on September 25th at Vicar Street in Dublin, Ireland. The North American leg of the “One Shot Tour” will begin on October 26th at the Mystic Lake Showroom in Prior Lake, MN and continues through the holiday season, wrapping up on December 31st at McCaw Hall in Seattle, WA.